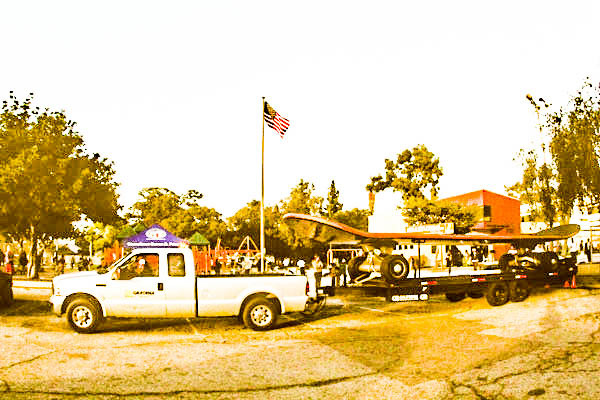 Added by thronn on December 22, 2014. 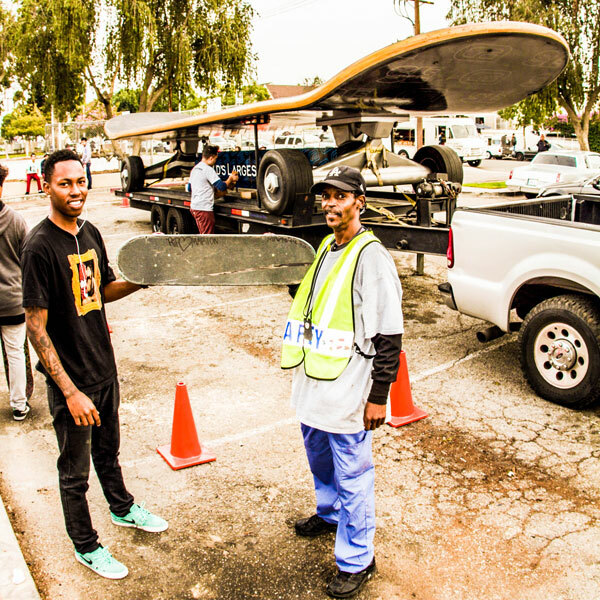 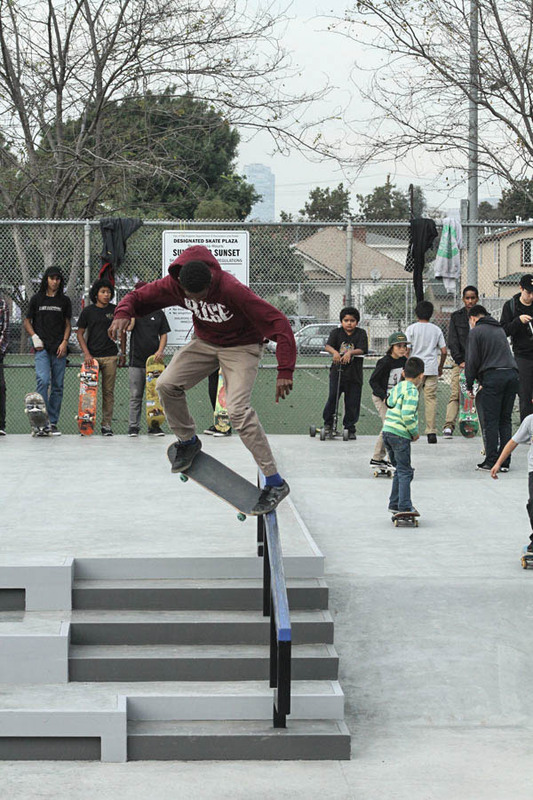 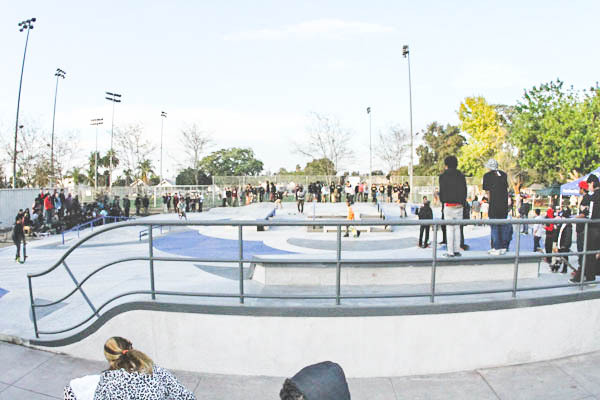 Los Angeles has a new skatepark that was inaugurated on Saturday 20th. 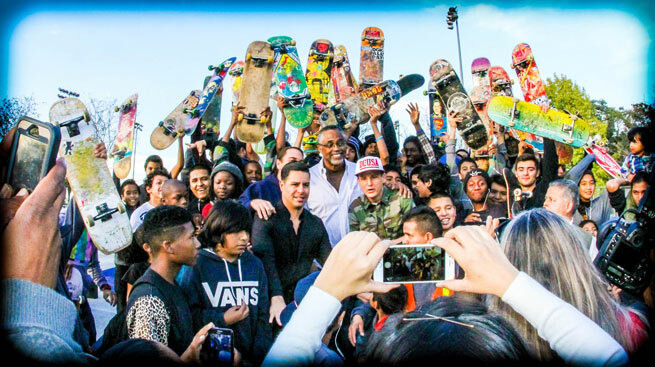 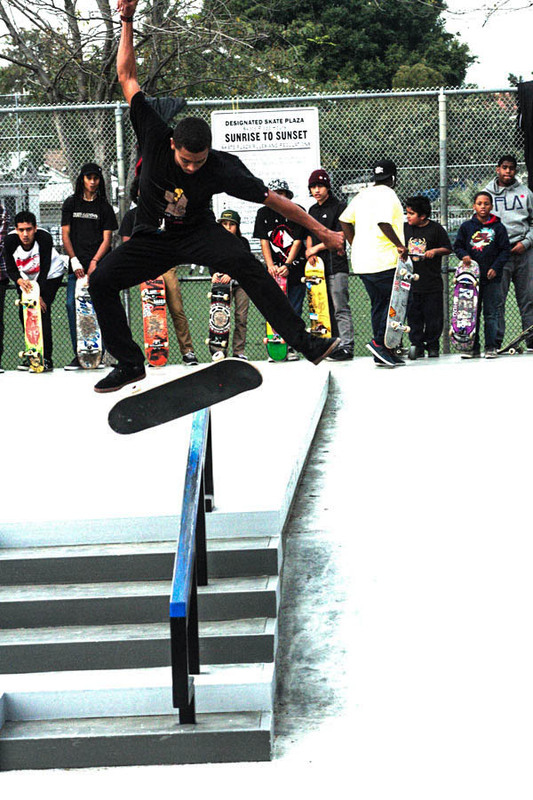 Street League Skateboarding Foundation Gilbert Lindsay Plaza officially opened. 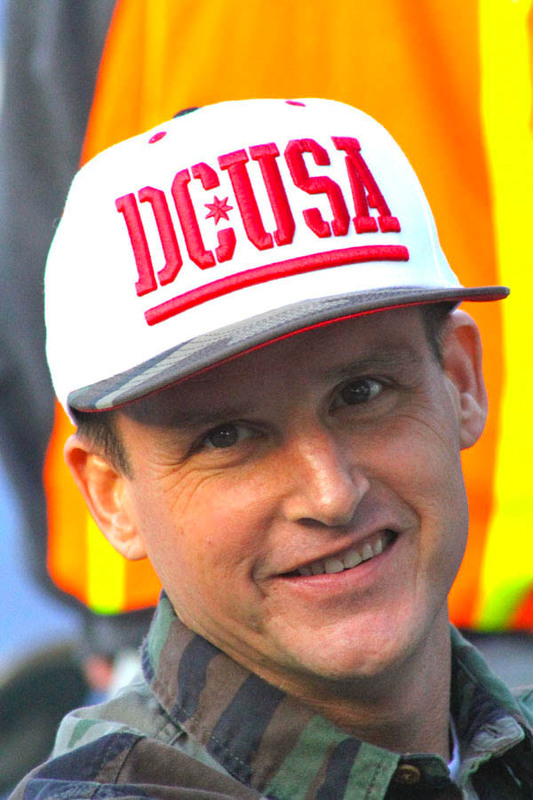 Another achievement of the tireless Rod Dyrdek who came personally cut the cord opening of the skatepark. 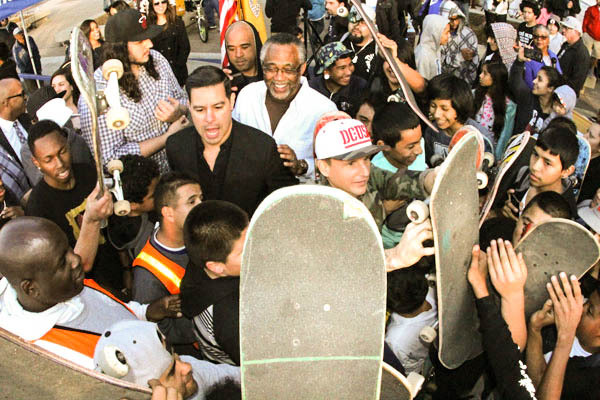 Adored by boys he gave autographs took many photos and made a short speech thanking the boys skate for insisting that realization. 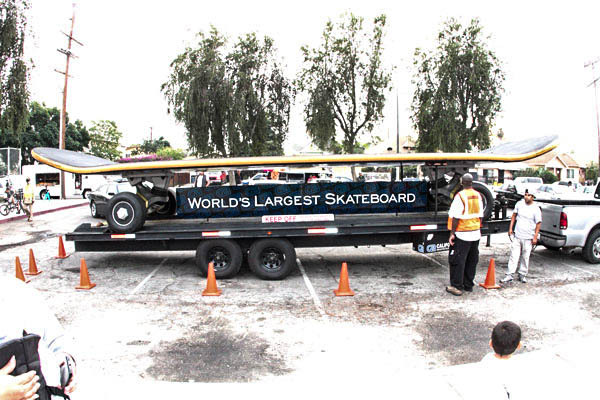 The largest skateboard in the world recognized by the book of records the ” Guinness Book ” came to make the joy of the skaters. 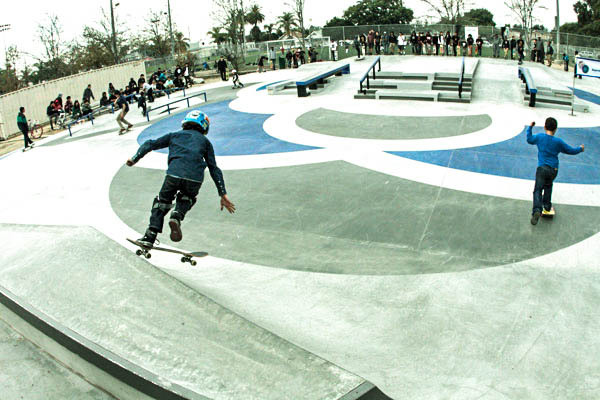 This is the number of skatepark 19 it has achieved with the city of Los Angeles. 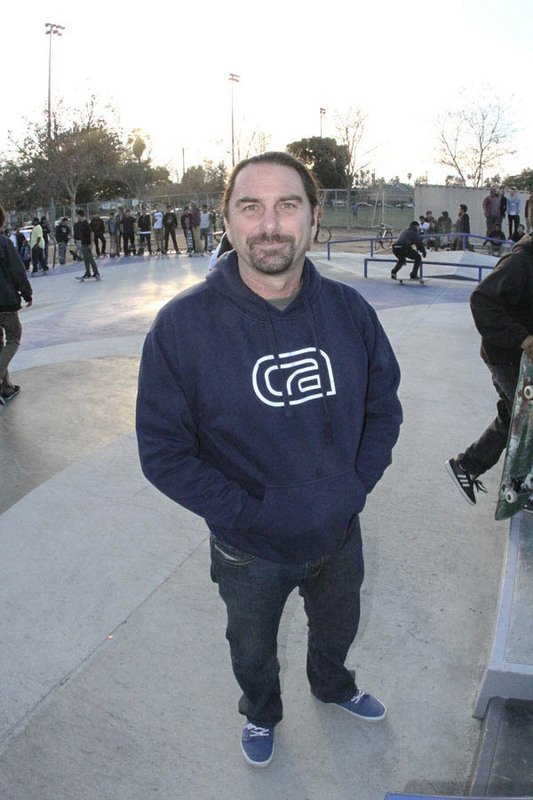 Greetings to the boys of Gilbert Lindsay Skatepark, that good sessions happen and sprout skaters to a professional carries, but best of all is FUN.